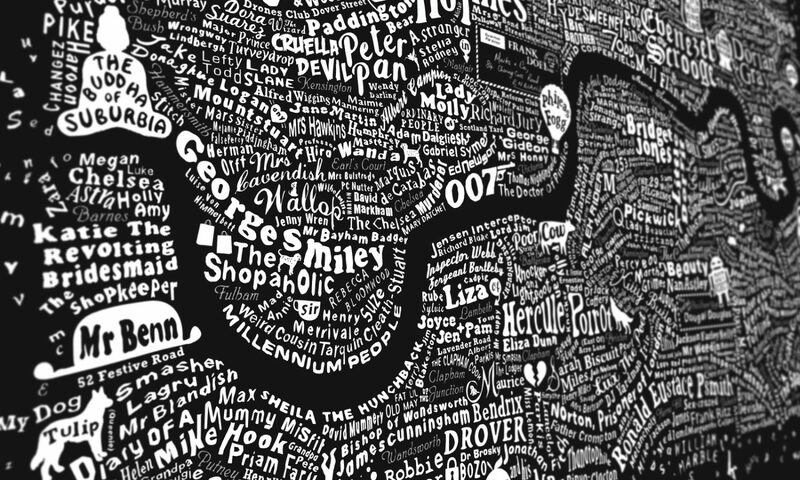 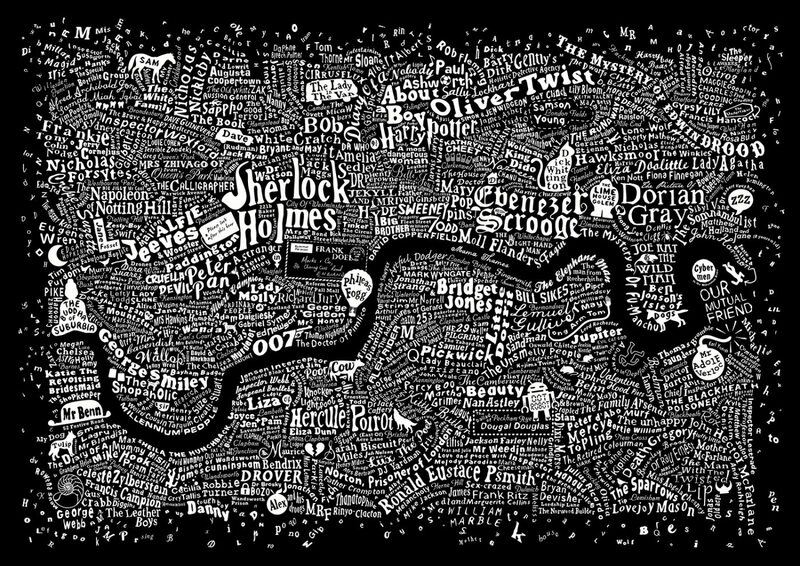 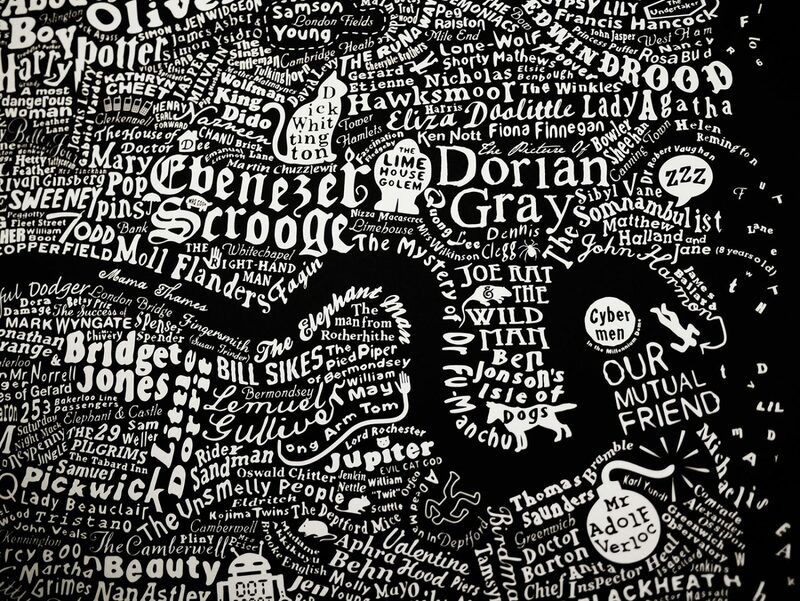 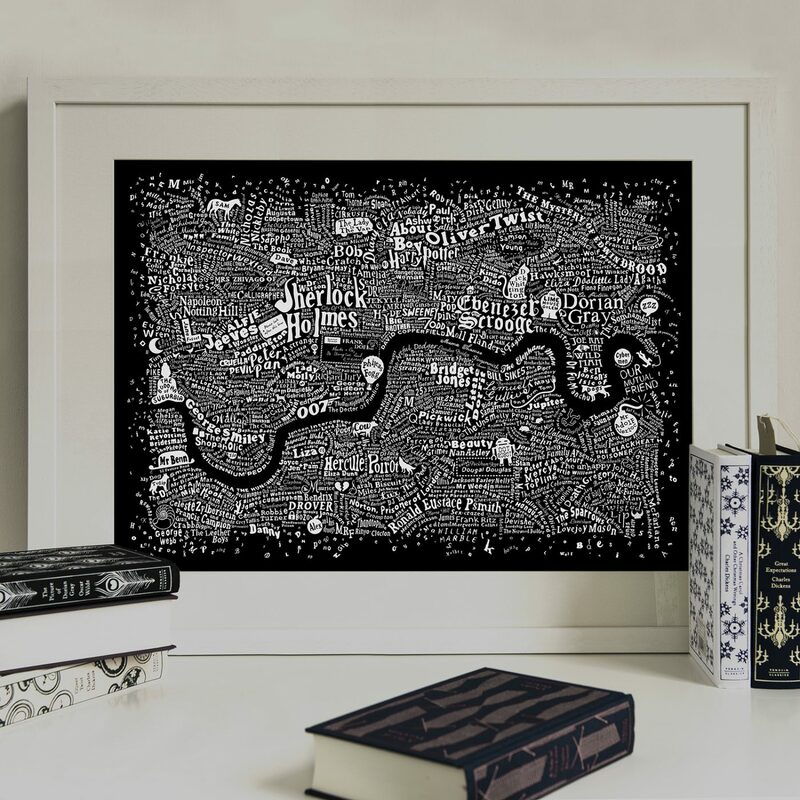 The 2015 edition of the award-winning Literary London map is an A2 screenprint. 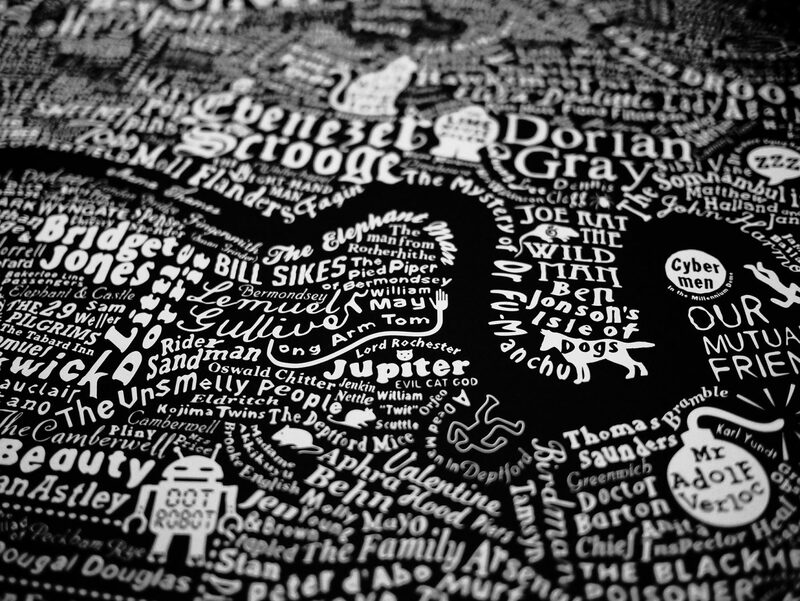 It is available in black, in white, and a premium version in white foil and metallic ink. 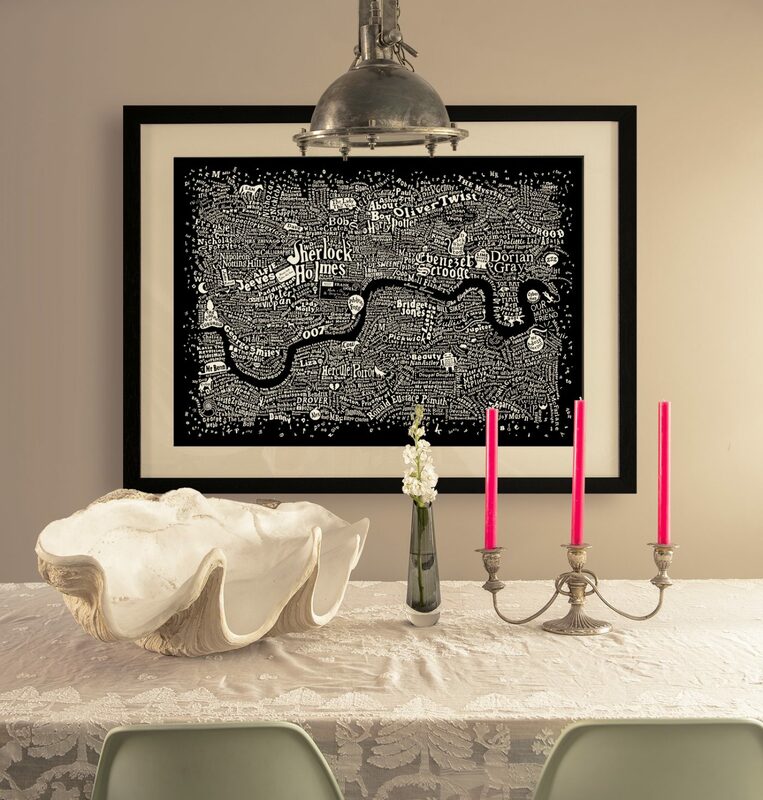 Each in hand-pulled limited editions of 100.